ABN AMRO says 250 jobs within corporate and investment banking will be cut to reduce costs across the struggling business. 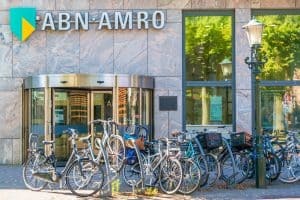 Dutch bank ABN AMRO has outlined plans to cut 250 jobs within its corporate and investment banking (CIB) unit in a bid to cut costs amid ‘cyclical and long-term challenges’. The cuts, which will be made in global sectors in trade and commodity finance, are being made to reduce costs within the CIB business to €80 million, the chief executive at ABN AMRO, Kees van Dijkhuizen, said in a statement. ABN AMRO’s CIB restructure will cost the bank €50 million as it looks to reduce risk-weighted assets by €5 billion by the end of 2020 to approximately €30 billion, impacting the bank’s revenues by around €100 million. “We indicated last quarter that we would present an update on CIB at the Q2 results, as CIB is facing both cyclical and long-term challenge… The return on equity (ROE) of CIB as a whole does not meet the group ROE target, as income growth in certain activities has not offset risk-weighted assets growth, impairments and costs,” said Dijkhuizen. Profits during the first half of the year within the CIB business at ABN AMRO were down 9% compared to last year, from €166 million to €151 million. Overall, group net profits were down 28% in the second quarter this year from €960 million in the same period last year to €688 million. “We are well on track and continue to move forward in achieving our strategic priorities and financial targets towards 2020,” Dijkhuizen added. He concluded that an update will be given on ABN AMRO’s restructure and progress at an investor day in November, along with further details on the CIB business, capital, innovation and technology.